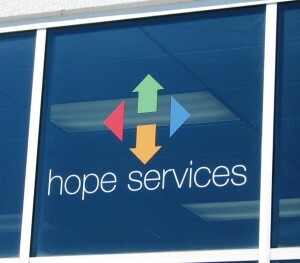 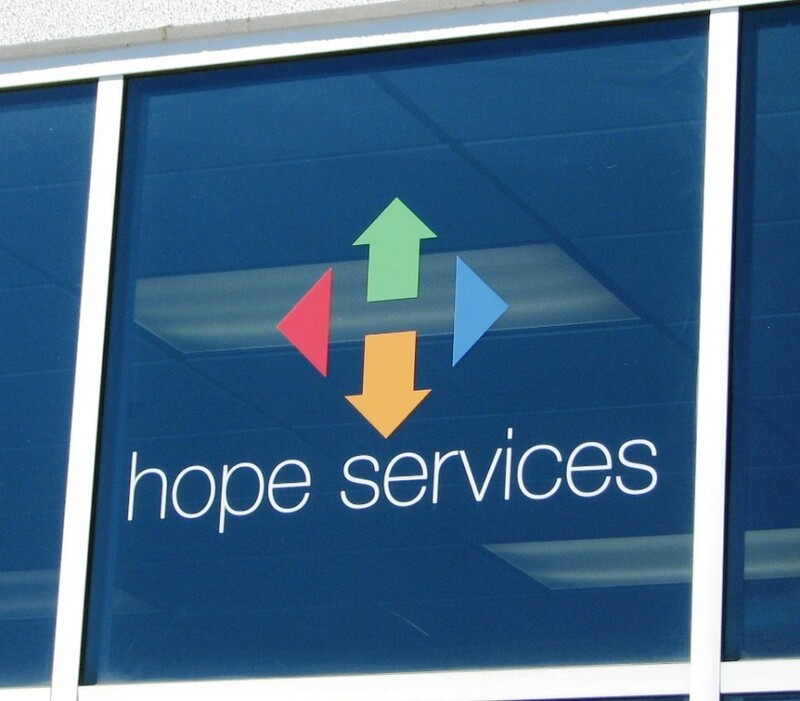 Most people know Hope Services. 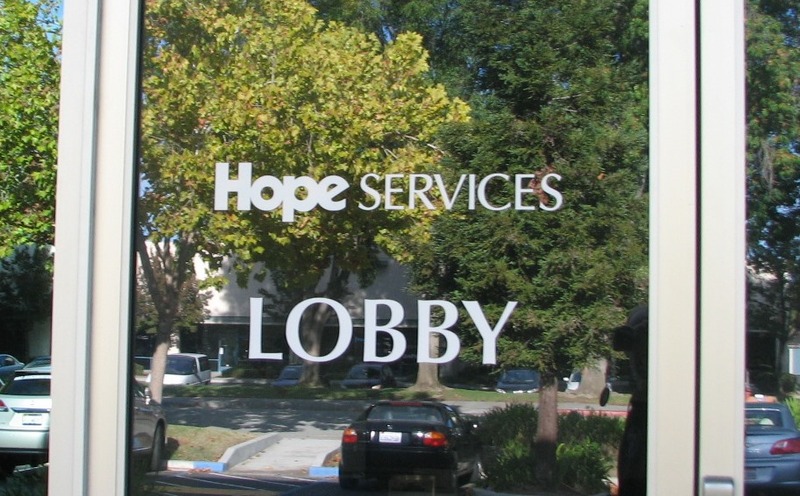 A non-profit organization providing valuable services in the Bay Area. 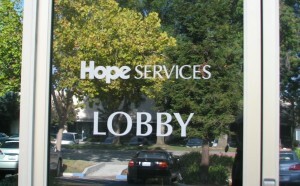 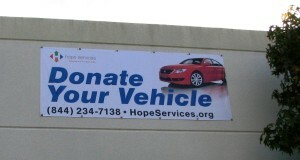 Hope has been a valued client of ours for many years. 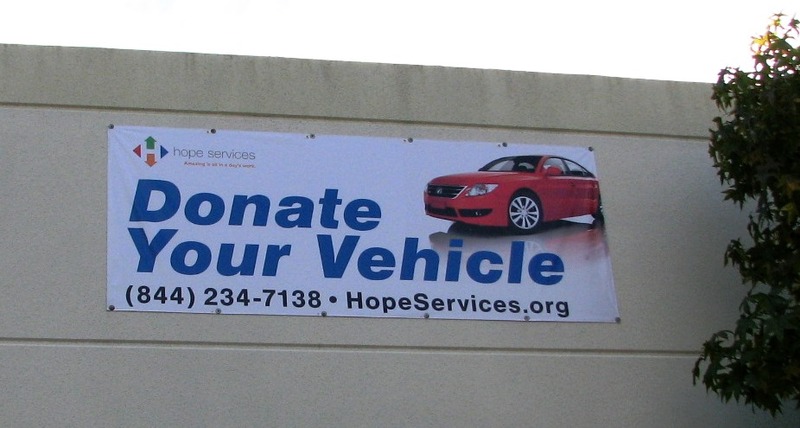 We’ve designed and built a range solution for them. 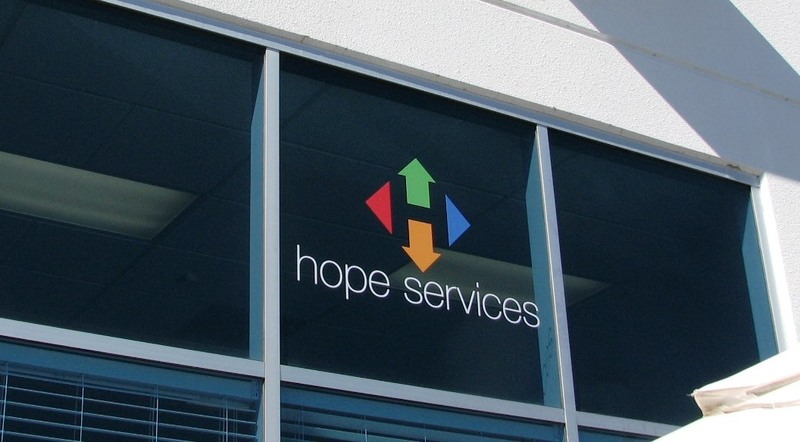 As their logo changed, we upgraded they signage accordingly. 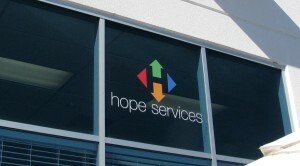 Below is an example of some the window graphics and banners that we recently installed for their south San Jose location.